The latest version of Apple’s OS X operating system, codenamed Mountain Lion, was released this past Wednesday and according to Apple it has become the company’s most successful OS X release ever. According to a statement issued by the Cupertino-based company Mountain Lion was downloaded more than three million times in just four days, which is a new record for Apple. The results confirm the expectations made earlier with research firms saying the new OS was running on 3.2 per cent of all Macs just two days after release. The success of Mountain Lion overshadows the success of Lion, released in July 2011, which reached one million downloads during the first day after release. 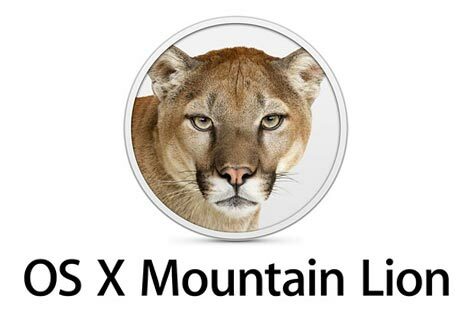 The Mountain Lion success is also helped by the lower price asked – you can get it for just 19.99 USD for users having an existing copy of previous versions Snow Leopard or Lion. Mac OS X 10.8 aka Mountain Lion comes with more than 200 improvements and new features among which a Notification Center, system-wide Sharing, Dictation, AirPlay Mirroring and Messages application. There’s also iCloud integration that makes it easier to set up Mail, Calendar, Messages, Reminders and Contacts. The cloud storage and sync system allows you to keep documents from iWork updated across all of your devices. A bit later Apple will also integrate Facebook directly into the OS. You can get Mountain Lion now at any Apple store or online at Mac App Store.